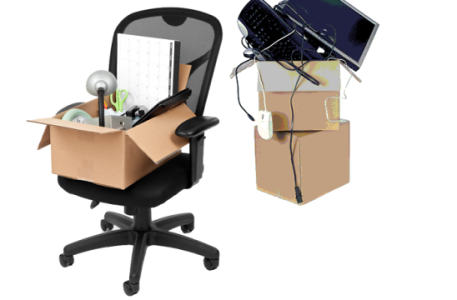 Sydney furniture removal is a job that not many are capable of doing. The hassle and stress that comes from moving is not that easy to handle and can be very confusing especially if it would be the first time for you to do so. Luckily, there are some companies out there that are willing to help you in your moving adventure and one of the most reliable and experienced moving companies is just a call away. If you are in need of professional services that can do the job quick, clean and safe, then just contact Pro Removalists as they will be a great help to you. Trusting a company that offers Sydney furniture removal is should not be easy. Before committing to a certain company, be sure to check their credibility and their experience first. Not all companies offer professionalism, they may say that they offer furniture removal but this does not necessarily mean that they are experts and they are properly equipped. Trust only the best company because they only offer the best of services. Whether you are planning on moving your home or office, Pro Removalists can help you either way. Their services include everything needed in moving such as packing, cleaning, unpacking, traveling and the like. They have the needed equipment and supplies to keep the flow smooth and efficient and most important of all, they give all their services for a cheaper price compared to other removal companies in Sydney. This moving company offers it all with the assurance that they are experts in providing variety of services that would cater to your moving needs. There are many Sydney furniture removal companies to choose from but it would be best if you get the most efficient yet cost-effective among the bunch. By choosing Pro Removalists, not only do you get to save much more than what you expect, but you also get quality services all throughout. With their help, moving can be done easily and stress-free. Yes, great services can be affordable. But before you go and start availing for their services, it would still be best to plan ahead and start managing your belongings. By organizing the moving process, you get to make it easier for everyone keeping the removal process a lot smoother and quicker. Although they provide packing services, it would still be your decision on which items and furniture should be going along with you to your new home. Make sure that all the things you will be bringing are really needed to keep the space efficient and worth it. Before you move, try to think of the furniture or items that are not needed and try to sell them before you start packing. Moving should give new opportunities and that begins with letting go of some things you no longer need to make room for new ones. Pro Removalists is a leading Sydney furniture removal company that has been operating for the past 20 years. They are well experienced in the moving industry and have mastered the art of packing, moving and unpacking. With the help of their services, it is not a doubt that you would get the job done quickly with all your belongings safe and scratch-free.